The New York College Associate in Occupational Studies degree program in Massage Therapy is offered as an advanced 72 credit program. 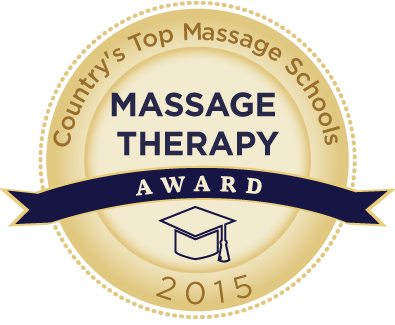 In 1996, the College became the first college in the United States to award an independent massage therapy degree in therapeutic bodywork. Massage therapy most commonly falls into two categories: European massage, which focuses on the musculoskeletal system and is based on standard Western anatomy and physiology, and Asian Bodywork, which is based on the principles of Oriental medicine and the movement of energy through various channels in the body. In New York College's Massage Therapy Program, students learn both - and much more. Holism is more than just the way to practice medicine. It is a way of thinking that seeks to incorporate knowledge from various disciplines. This philosophy is evident in the way that New York College structures educational programs and in our emphasis on integrating Eastern and Western thinking and practice. Students in the Massage Therapy Program study Western health sciences, Oriental anatomy and physiology, European and Asian techniques; thereby learning to tailor treatment to the patient's condition. Required training in T'ai Chi Chuan , Qi Gong or Yoga helps Massage Therapy students better understand how their bodies function, enhancing their ability to diagnose and treat their patients. Financial Aid, Tuition & ScholarshipsNew York College is committed to providing Massage..
New York College is committed to providing Massage Therapy degree students with all necessary means to assist them in succeeding in school and in their goal of becoming licensed health care practitioners. The College offers Financial Aid and Scholarships to all students who qualify. All students are provided with the option of installment plans to help with tuition payments. For all Massage Therapy students, clinical experience is part of the required training and is completed under the guidance and supervision of health care professionals who are both instructors at the College and experienced, licensed practitioners in their respective professions. Internships include practice in both European massage and Asian massage. Students working in the clinics learn professional conduct and procedures in a health care environment. They are exposed to the responsibilities every practitioner faces, yet retain the support system of their supervisors to guide them in the transformation from student to professional. New York College faculty includes American, European and Asian instructors whose diverse backgrounds and experiences reflect the integration of the principles and methodologies of the East and the West. Faculty members represent the different disciplines within the field of integrative medicine, including specialists in holistic modalities, and Ph.D.'s from the academic world and other health care professions. The combination of clinical proficiency, academic excellence and experience in complementary medicine makes New York College faculty truly unique. Our Massage Therapy Program requirements exceed the certification and licensing requirements set forth by the appropriate regulatory bodies. Graduates who earn their massage therapy degree from this program are well prepared to sit for both the New York State licensing exam and the national certification exam. click here for details.